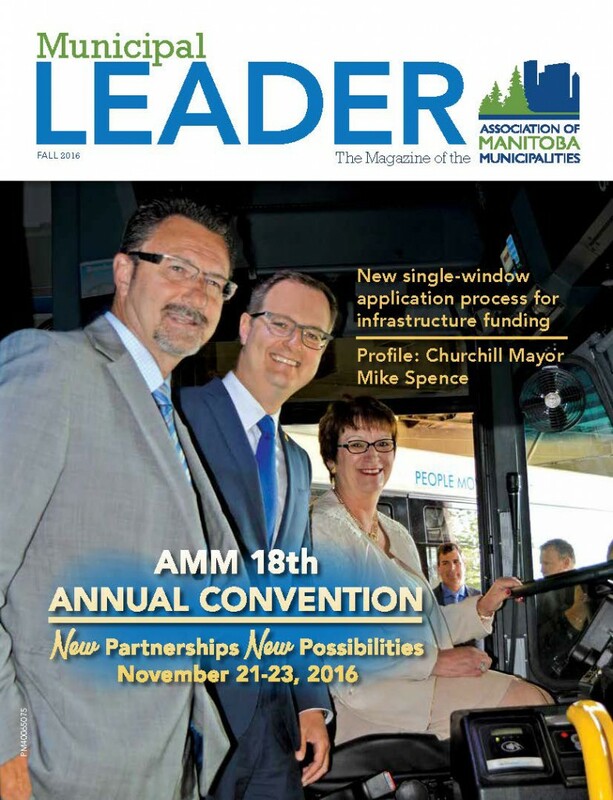 In the Fall 2016 Municipal Leader the upcoming AMM Annual Convention is under the spotlight, and its theme of ‘New Partnerships, New Possibilities’ is in keeping with much of the other content this issue. The new single-window application process for infrastructure funding (including the new federal-provincial infrastructure agreement) is just one example. Churchill Mayor Mike Spence is looking for new partnerships to keep his port community viable; Eco West is creating municipal partnerships to deal with climate change; La Salle’s LSCU Complex was created in a truly unique community partnership; and the list goes on. Speaking of Convention, if you haven’t registered yet you will definitely want to once you see our preview. The Keynote Speakers are amazing: where else can you see Jon Montgomery and Arlene Dickinson in one place? And if Jody Mitic isn’t a name you recognize, you will never forget it once you hear his powerful story. Add to that a full line-up of sessions, resolutions, speakers, and the sold-out Display Area and you’ve got three jam-packed days. You will want to unwind at days’ end and we’ve got that covered too, with Monday’s Icebreaker and Tuesday’s Gala Evening. See you there!